Blurb: Caitlin Kile was living a normal college life full of parties and early morning classes. Living with her best friend and enjoying her senior year, Caitlin's life seemed idyllic. Until her neighbor's cousin, Simon Crewe, transferred to her school, unbalancing her tightly controlled life. Because control was one thing Caitlin desperately needed. Simon was instantly attracted to Caitlin, but he couldn't seem to get past her guarded walls. Despite Caitlin's refusal to show any interest in him, Simon couldn't seem to shake his attraction to her. But Simon didn't know everything about Caitlin. He didn't know about the images of death that haunted her while she was awake. Or the gripping terrors that plagued her at night. And Simon couldn't possibly know that those terrors were determined to destroy him. Wow! This book really did a number on me! It was a really good read, excellent paranormal romance and suspense combined! Although it will appeal to paranormal romance fans, I think fans of other genres will enjoy it as well. As it hadn't been reviewed a lot, I didn't know what to expect, so I read the sample from Amazon before agreeing to review it. From the sample I assumed it was going to be your average run-of-the-mill Paranormal Romance, but boy was I wrong, in a completely good way! There was a gradual build up of suspense all the way to the end, and there were some really scary parts that honestly brought goosebumps to my skin. I stayed up all night reading just to find out how it was going to end! All of the characters were memorable, and I loved the main characters. Caitlin is strong in the face of her visions, whereas I think most people would think they were losing it. She tries her best to keep moving forward and keep a positive outlook on life. Simon was just wonderful. He believes in Caitlin and loves her despite her inability to confide all her problems in him. He just doggedly loves her and doesn't give up on her, even when she pushes him away. I also wanted to mention that this isn't strictly Paranormal Romance, although there are paranormal things happening with a love story. There are some really creepy parts too, like I mentioned above, where I got cold chills thinking about what I was reading. I definitely felt a full gamut of emotions while reading this book. 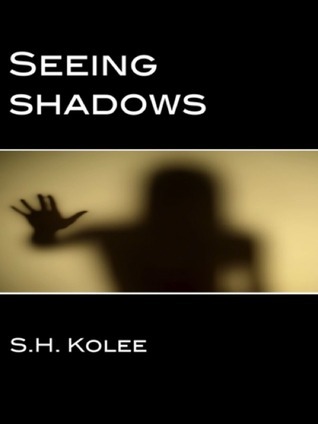 Other readers might like this book if they read Suspense/Thrillers. My main problem is that the book has a huge cliffhanger, and while I don't usually like cliffhangers at all, I'm glad that the author ended it the way she did because I need more answers. If there had been a storybook ending with this book at this point, I think it would have taken away from the story as a whole. There was just so much more that needed to be said. So now I'm going to be wondering (impatiently) what happens until the next book comes out. But honestly, it was completely worth it!